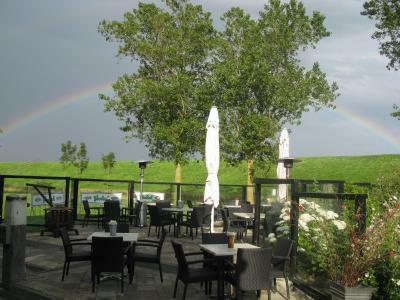 The location of the property and the breakfast that was served. The owner was also very kind and was able to tell us where we could go for sight seeing. We got the reserved twin beds, the room was private and quiet. The woman, who checked us in and later cleaned our room, was helpful, friendly and nice. We got magazines with information about the city and a map for bikers. Some breakfast bread (the oat loaf was warm out of Owen, and a sugary one was soft) were fresh. Tea selection quite wide. Breakfast was really lovely, always fresh fruit with the yoghurt, warm and freshbaked breadrolls, croissants etc, etc. Unique and friendly place with familiar atmo. Please do not expect any special comfort but overall perception is appropriate to your initial expectation. Just good people have their small business on a country side. Pleasant stay! endroit typique, le sourire au rendez vous. Un excellent petit déjeuner et un lit superbement confortable. Il manquait peut être une petite table près du frigo. 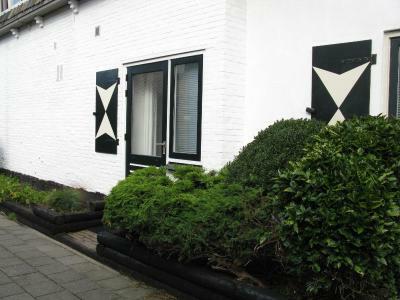 B&B De Zeven Provinciën This rating is a reflection of how the property compares to the industry standard when it comes to price, facilities and services available. It's based on a self-evaluation by the property. Use this rating to help choose your stay! 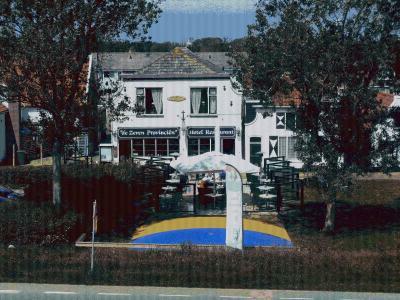 B&B de Zeven Provinciën is the oldest B&B in Texel, where naval officers used to stay after long periods at sea. 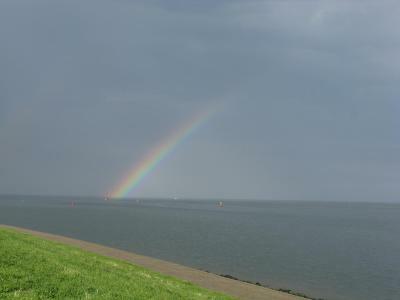 It is located right at the Wadden Sea Dike. The cozy, nonsmoking rooms offer comfortable beds, a TV and tea/coffee making facilities. This historic B&B is named after the renowned flagship De Ruyter, who fought as commander of the Second English War. Ecomare Nature Reserve is only 15 minutes’ drive, while the boats that head to Den Helder can be reached in 7 minutes by car. When would you like to stay at B&B De Zeven Provinciën? This room is equipped with a TV and coffee/tea facilities. They are located on the ground floor with access to the garden and have private entrances. 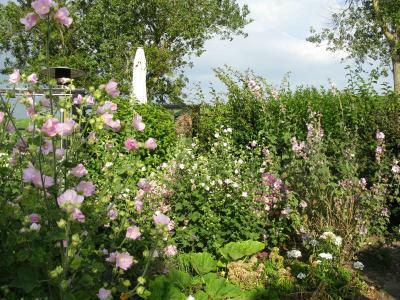 House Rules B&B De Zeven Provinciën takes special requests – add in the next step! 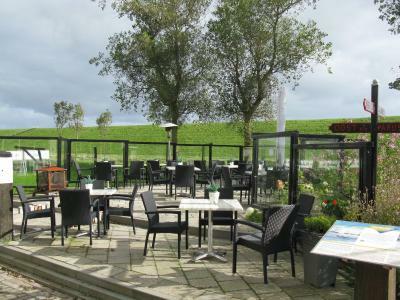 ATM card B&amp;B De Zeven Provinciën accepts these cards and reserves the right to temporarily hold an amount prior to arrival. 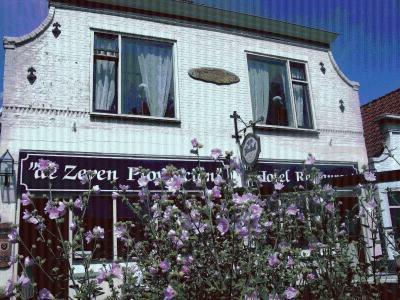 B&B De Zeven Provinciën accepts these cards and reserves the right to temporarily hold an amount prior to arrival. Please inform B&B De Zeven Provinciën of your expected arrival time in advance. You can use the Special Requests box when booking, or contact the property directly using the contact details in your confirmation. The room had a really bad smell when we came in. When we turned on the warm water it took like 3 minutes before I felt a difference. The warm water was actually not warm. The bed was actually two beds put side by side. There was no soap in the room. Bed is pretty worn (old). Breakfast staff did not smile, did not really communicate with us, only with Dutch people. Breakfast bread and croissants were clearly from day before. Not a lot of choices for vegetarians of vegans. The crucial things for me are very simple: clean and fresh white bed and bed linen & towels. I think that replaced old fluffy pillows and kid-style bed linen could improve our experience significantly. Maybe bed and bathroom could be more comfortable?